She is an Assistant Professor for the Department of Pathology and Laboratory Medicine, Member of Institute for Stem Cell and Regenerative Medicine, Member of Center for Cardiovascular Biology, University of Washington. She has received her MD/PhD degree from University of Minnesota, 1996-2003. She has completed her B.S. in biology and chemistry from the University of Puerto Rico, 1996. 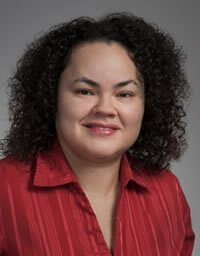 She is serving as an editorial board member of reputed journals and reviewer of 3 journals. She has been nominated and awarded for the Princeton Global Networks and the Madison Who·s Who Member-Executives and Professionals. She received the Junior Faculty Awards: Perkins Coie Award and the Marian E. Smith award. Adult stem cells, Skeletal muscle and heart regeneration, Stem cell therapy for muscular dystrophy, Stem cell homing and migration, Tissue regeneration/ Bioengineering/ artificial organs, Mesenchymal stem cells Dental Pulp Stem Cells, Vascular Biology, Hemostasis/ thrombosis/ Coagulation, Angiogenesis.